Runde Environmental Center provides crucial expertise to the EfficienSea project, provided by Moere and Romsdal County. Runde is an important regional actor in western Norway and a vital source of marine know-how for Europe. 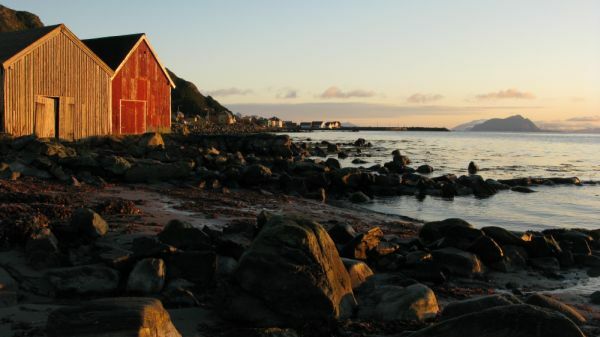 Runde Environmental Centre is contracted by Moere and Romsdal County to work for EfficienSea. In two of the work packages, WP3 and WP5 - se below-, Runde contributes as an external expert in a variety of the activities, especially those which use Southern Sunnmøre region as a pilot region. Within WP 5 Vessel Traffic Data and Maritime Planning, the primary goal is to develop and test new tools for integrated coastal zone management, i.e. specifically a dynamic sensitivity map. Such a digital map will consist of various data layers – including bathymetry; geology; habitat type; water column parameters as environmental ‘layers'; and various resource uses (ship traffic, aquaculture, installations) as anthropogenically driven layers. In addition, the dynamic sensitivity map is intended to have a certain level of temporal resolution in order to simultaneously focus on the key descriptors of EfficienSea – safe, sustainable, efficient – with regard to both humans and the environment. In order to assess the applicability of this type of tool in distinct geographical and administrative regions, Moere and Romsdal County and Runde Environmental Centre collaborate closely with a partner institution in Poland (the Maritime Institute in Gdansk), who are using a parallel pilot region in the Gulf of Gdansk to apply the same methodologies. An evaluation of the transferability of methods and contents will complete the activities in WP5. at Runde Island, the southernmost bird cliff in Norway. A very different type of mapping is the focus of Runde's activities in WP3 Recruitment and Competences: here, the maritime cluster activities in the Southern Sunnmoere region are being mapped for the purpose of addressing human recruitment challenges to the maritime sector across the Baltic Sea Programme region. The development of an international trainee programme is one of the key tasks addressed jointly by numerous partners from the entire project. Runde Environmental Centre is located on the bird island of Runde in the Sunnmoeøre region in western Norway. This region is known worldwide for its outstanding nature, such as the Geirangerfjord which is listed as a world heritage site with UNESCO, and its natural resources. 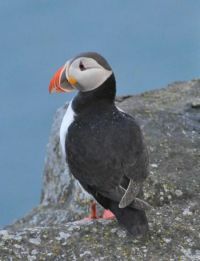 In addition, Sunnmoere has important breeding and spawning areas for endangered birds and fish. However, tourism is not the only booming industry here. Due to its richness in marine resources, Sunnmoere has become one of Norway’s major centres for maritime industries, aquaculture and fisheries. The offshore oil and gas industry is growing in importance, too. The shipping route along the coast is estimated to increase further in relevance as a consequence of the anticipated opening of the north-east passage, the shortest way to Asia. As a result of climate change, the ice barrier is reducing quickly which will ultimately allow navigation of the passage during summer. This kaleidoscope of factors makes our coast rich in both challenges and opportunities for integrated coastal zone management as well as a promising source of “Know-how” for the EfficienSea project. Additionally, it represents an ideal test region for new developed tools within this project.